The Hollywood school of visual effects, games and animation is opening its doors to BFA applicants. When it comes to learning about 3D art, Gnomon is one of the biggest names on the scene. The school of visual effects, games and animation specialises in graphics education for careers in the entertainment industry, providing an invaluable platform that helps students achieve their career goals. Building its industry leading reputation, Gnomon has just launched its first accredited baccalaureate degree program. 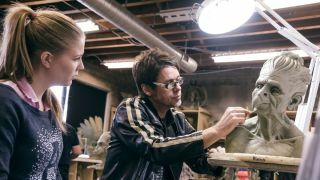 The Digital Production Bachelor of Fine Arts program is the culmination of over 10 years of institutional planning that builds carefully on Gnomon’s signature vocational programs. Gnomon is now accepting applications for the Fall 2017 launch, which will give students an academic foundation specifically tailored to the changing demands of the entertainment industry. The curriculum will cover all aspects of a 3D generalist skill set, providing an in-depth understanding of the 3D production pipeline, and a strong foundation in both visual arts and general education studies.